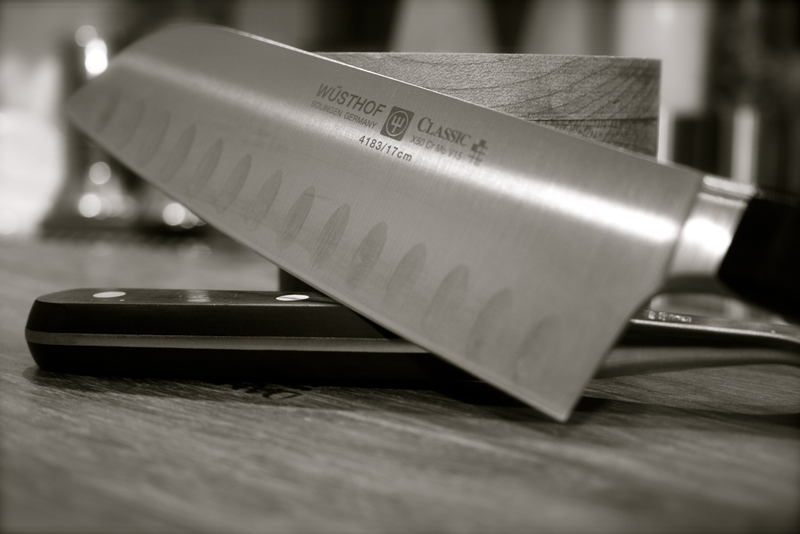 If you find yourself doing lots of chopping and slicing, a santoku knife might be just the knife you need. I was recently slicing raw potatoes using my chef’s knife and the potatoes kept sticking to the blade. I switched to my santoku knife and the problem was solved! This hollow-ground knife has small indents (you can see from above) which create pockets of air between the blade and the food, preventing the food from sticking. Genius!